Jom shopping for Japanese food and snacks at Hiroshima Product Fair @ AEON 1 Utama. I usually do my groceries shopping during weekend because that is the time my family go out together and we can decide what to buy and what to cook for next week. I visited the fair last week and thinking of going again to buy some snacks and oysters. This is a collaboration between AEON and Hiroshima prefecture government to promote Japanese culture, culinary and lifestyle. Mr. Takeda Akihiko, Commerce, Industry and Labor Bureau overseas business manager Hiroshima Prefecture, officially inaugurated the event amidst a colourful, cultural opening ceremony. There are 17 suppliers from Hiroshima Japan and quite a good selection of food especially the Hiroshima Oysters. More than 100 variety of products will be showcased at the fair including nine new brands and 37 products such as HiyashiAme - a traditional Japanese drink, Castella - a Japanese sponge cake and Convenience Miso soup. For those who are interested in learning the fine art of sushi bento making, there will also be a culinary demonstration by AEON’s very own experienced chef. If you are in 1 Utama or Mid Valley you can hop over to AEON because there is Hiroshima Product Fair going on. 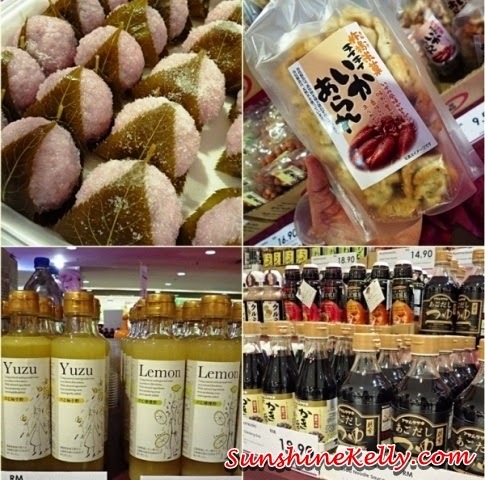 These are some of the products you can find at the Hiroshima Fair: Traditional Sakura Mochi; Ebisu Arare - Squid Rice Cracker; Sennari Yuzu Orange Vinegar & Lemon Vinegar; Asamurasaki - Soba Noodle Sauce & Oyster Dressing Sauce; Tanaka Japanese Rice Seasoning & Hello Kitty Rice Seasoning; Hiroshima Okonomiyaki; Hiroshima Oyster; Ishino Suisan -Dried Chirimen Fish; Hiroshima Haruka - unique citrus which is sweet and juicy; Kumano Fuda - makeup brushes from Japan; HiyashiAme - traditional Japanese drink; Maruto Seika Nagasaki Castella - Japanese sponge cake; Amano Itsumo No Omisoshiru assorted flavours convenience miso soup; Mishima rice mix assorted flavours such as Tamako Nameshi, Akira, Takikome Wakame Benizake, Maze Maze Gohan Gokoku Hinjiki & Chirashi Zushi and also there are many more varieties of food and products. The Okonomiyaki and Oyster are a must try. Hiroshima Haruka is one of the most unique citrus which is sweet and juicy. Besides Japanese food, the fair will also showcase the famous make up brush in the world, “Kumano-Fuda”. If you spend a minimum of RM20 in a single receipt at the Hiroshima Fair you are entitle to join the lucky draw. The Grand Prize winner will win a trip to Hiroshima and have the privilege of exploring the heritage of Hiroshima, Japan. 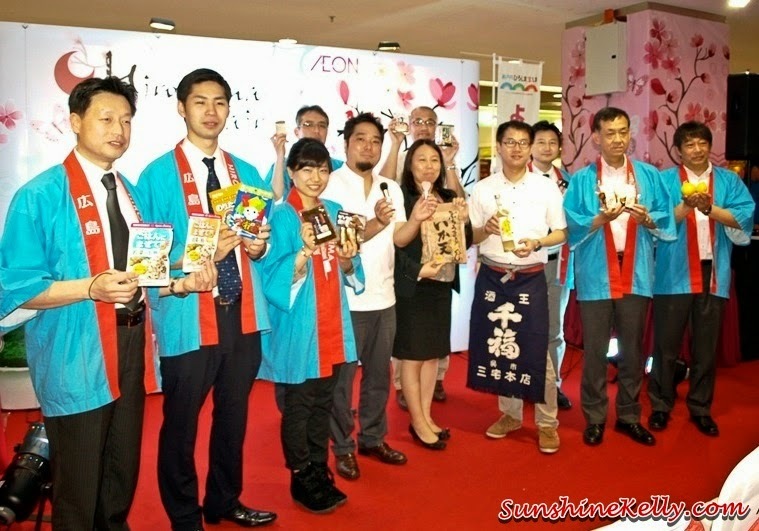 The Hiroshima fair will be happening at both AEON Bandar Utama and AEON MidValley starting until from 27th March till to 9th April 2014.